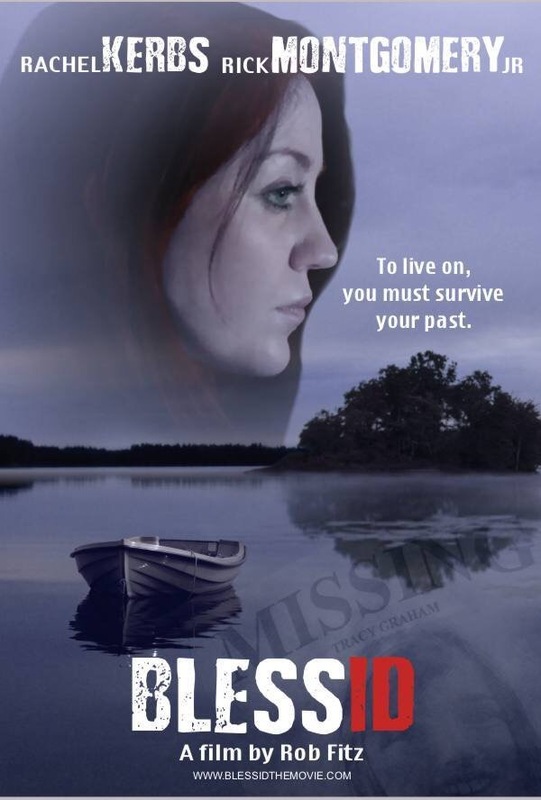 Blessid is a new psychological thriller from director Rob Fitz and writer Rob Heske. The film stars Rachel Kerbs, Rick Montgomery Jr & Gene Silvers. Sarah Dunicliffe (Kerbs) is a pregnant, married women with suicidal tendencies brought on by a traumatic childhood and also her dysfunctional-at-best relationship with husband Edward (Silvers). Mysterious neighbour Jedediah (Montgomery) moves in across the street and although he turns out to have an unusual secret (think The Curious Case of Benjamin Button) they form a bond and become friends. Not only this…but Sarah must brush off the advances of her increasingly violent and psychotic ex Evan (Chris Divecchio). Any two of the above elements could have made for a compelling plot, but I feel like throwing all these elements in together makes for a disjointed and at times baffling story. Flash back scenes are intercut (with little or no explanation) with dramatic and violent scenes as well more reflective dialogue scenes. It’s a film that at times can’t decide what it wants to be. Montgomery gives an enlightened performance; despite his character being somewhat inserted into the story for shock value. Divecchio also gives a strong performance as the psychotic Evan. However I feel that Kerbs in the star role kind of coasts along and relies on bouncing off the other actors for her performances. Overall it is an interesting story if not rather bizarre at times and (less than) ordinary suburban life is reflected perfectly in the setting and cinematography.